Sorry, your web browser can't display this video. With the onset of the Space Race in the 1950s, the USA and the Soviet Union's rivalry in space exploration led to the calculation of the point which marks outer space – the "Kármán Line". Its location 100 km (62 miles) above the Earth's surface is the altitude at which outer space starts; to pass the "Kármán Line" turns a pilot into an astronaut. The Soviet Union's launch of Sputnik 1 on 4th October 1957 marks the advent of the Space Race, the Cold War contest between the USA and the Soviet Union. Sputnik 1's orbit of the Earth until January 1958 led to an increase in space exploration in the 1960s with the cosmonaut Yuri Gagarin's voyage into space in April 1961 in which he crosses the "Kármán Line". 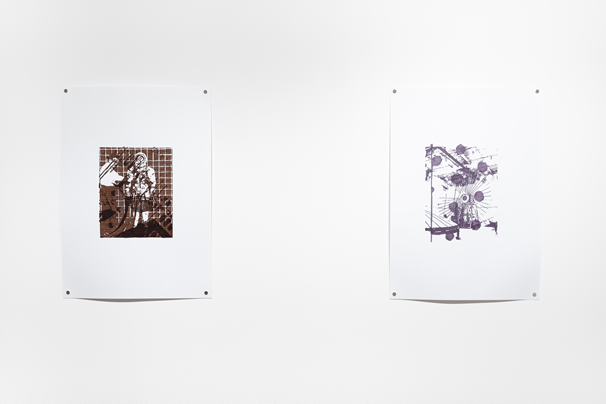 In The Kármán Line each artist presents works which cite ideas about the Space Race. 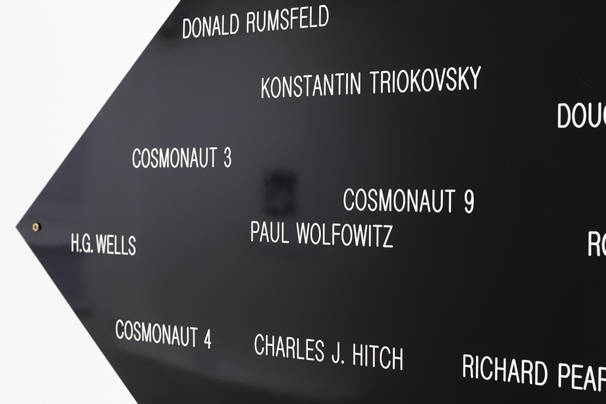 Michael Mulvihill's The Pursuit of Happiness (2014) is a Traffolyte panel which comprises a constellation of Cold War individuals such as anonymous Soviet cosmonauts; RAND Corporation economists such as Henry S. Rowen and Charles J. Hitch; US politicians such as Robert McNamara and Alain Enthoven; as well as Wernher von Braun, the inventor of Nazi Germany's V-2 rocket and the USA's Saturn V. Since the 1940s the RAND Corporation has been a catalyst in US policy on the Space Race in the context of fighting a future nuclear war with its early reports on satellite development. In The Pursuit of Happiness Mulvihill represents a multitude of participants in the Space Race which accentuates the multiplicity of positions that shape Cold War ideology. 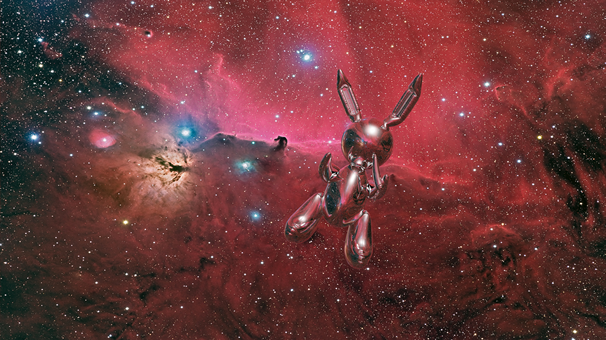 Tom Ireland's TRAILER (the_heavens) (2016) is a video loop in which Jeff Koons' Rabbit (1986) appears, floating through outer space, approximately 1500 light years from Earth in the constellation of Orion. Ireland conceives of Rabbit, with its polished stainless steel surface reminiscent of the metallic veneer of NASA's Echo balloons (1960) and the shiny sphere of Sputnik 1 (1957), as a cryptic satellite that silently moves through the universe. 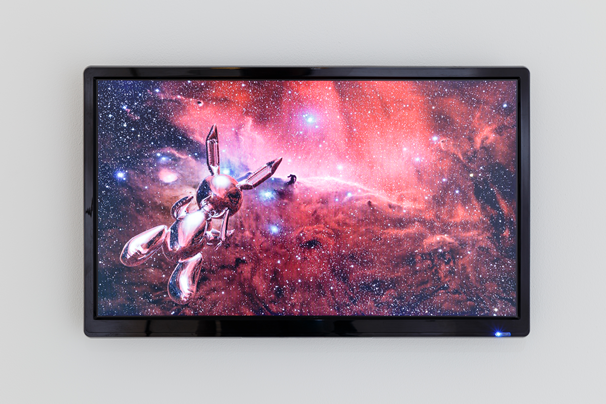 Rabbit is cast as an embodiment of transcendence and Ireland aligns the ruthless physicality of the object with a human quest to explore beyond our terrestrial limits. 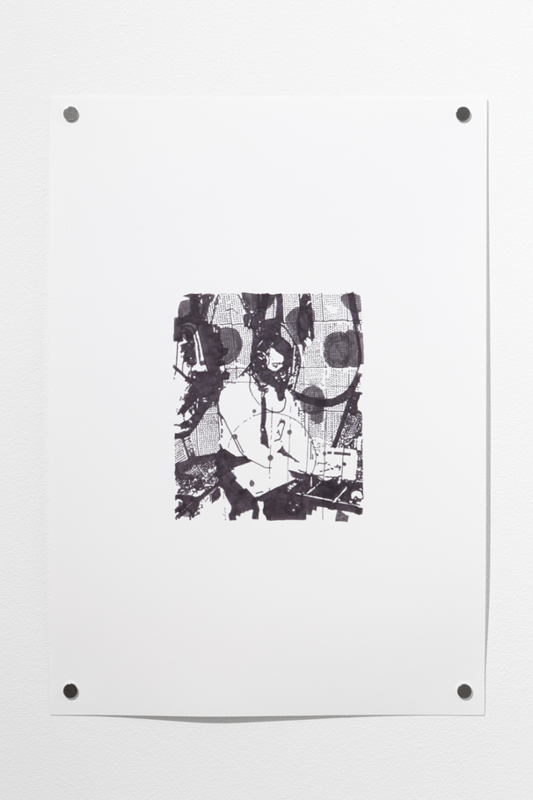 In works on paper such as Untitled (043x-yjik-xe) (2016) Matthew Denniss sources archival photographs which he prints onto acetate then projects onto a wall in order to trace the photograph. He then overlaps this with another more abstract image. Hundreds of pen marks are densely built up to create a new interpretation of the photograph as one whose deterioration over time impacts its physicality. 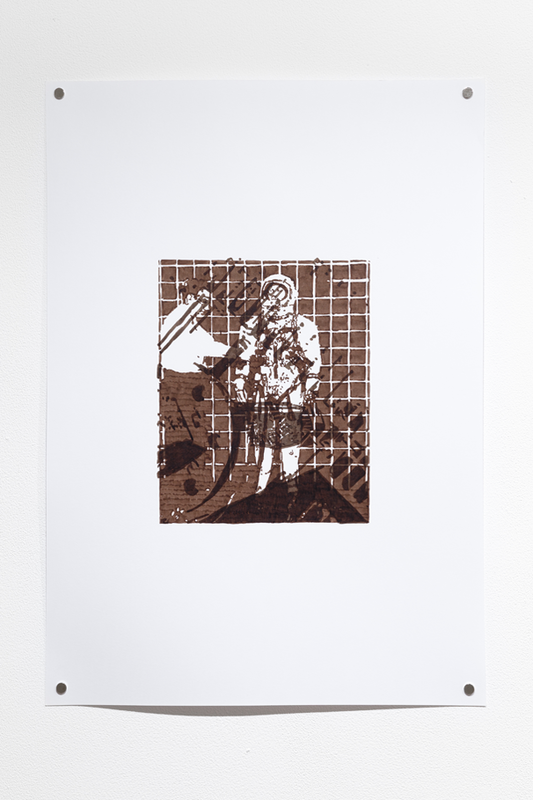 In Untitled (043x-yjik-xe) Denniss combines a photograph of an astronaut in a spacesuit prior to a launch with the interior of a space shuttle. 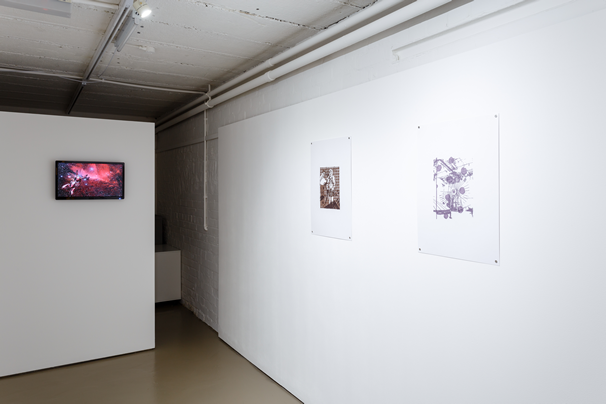 Denniss' process results in works in which the layers of marks serve to disrupt the photographs' visual data as the pen marks serve to conceal clues to the photographs' provenance. 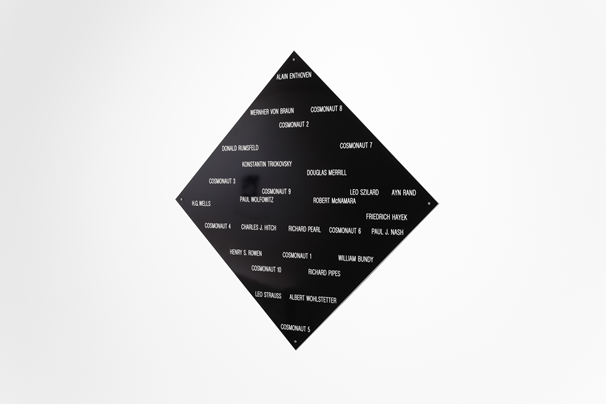 Matthew Denniss [BA (Hons) Fine Art, Goldsmiths College (2006)] lives and works in Manchester. 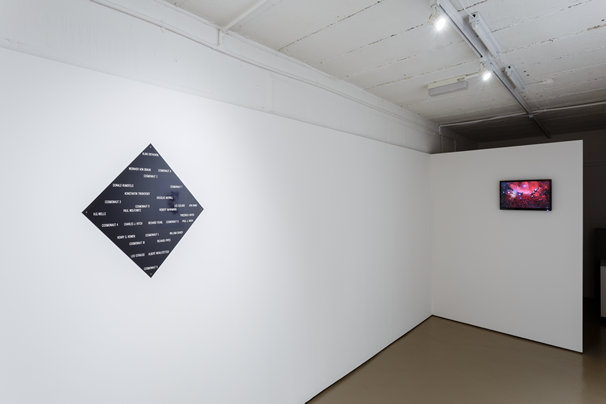 Recent exhibitions include NORTH (2015), Warrington Contemporary Arts Festival, Warrington; Film Material (2015), BEEF, Bristol; NN Contemporary Open (2013), NN Contemporary, Northampton; and Broomhill National Sculpture Prize (2013), Broomhill Art Foundation, Devon. 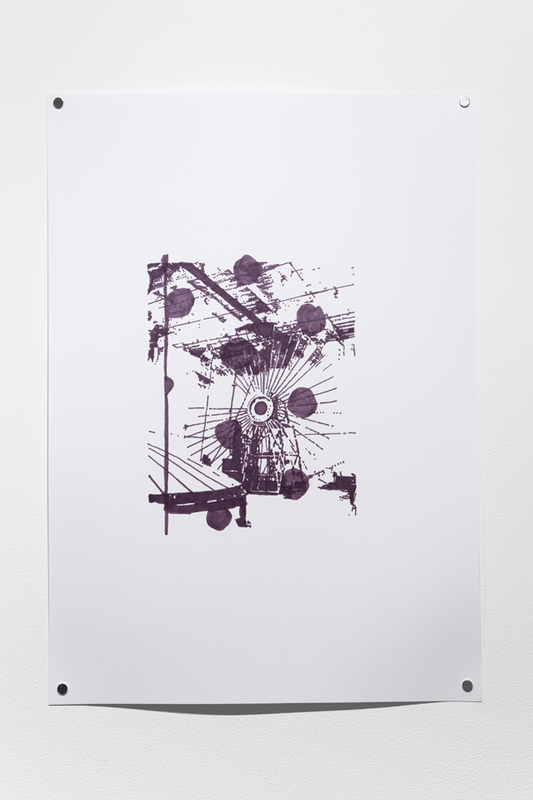 Michael Mulvihill [MA Fine Art Northumbria University, Newcastle-upon-Tyne (2002)] lives and works in Gateshead. 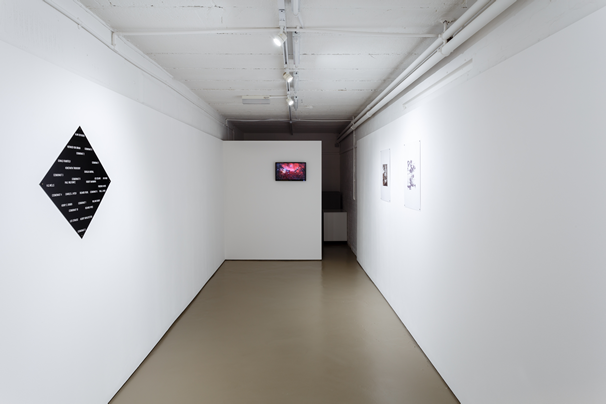 Recent exhibitions include The Means and the Instruments (2015), Northern Gallery for Contemporary Art, Sunderland; 4th Ghetto Biennale (2015), Port-au-Prince, Haiti; They Used to Call it the Moon (2014), BALTIC Centre for Contemporary Art, Gateshead and BALTIC 39, Newcastle; Tip of the Iceberg (2013), Contemporary Art Society, London; and Luminous Language (2013), Launch F18, New York, USA. He is represented by Vane, Newcastle.